Though threatening swords loom above, the lamb sits in stillness and without fear. 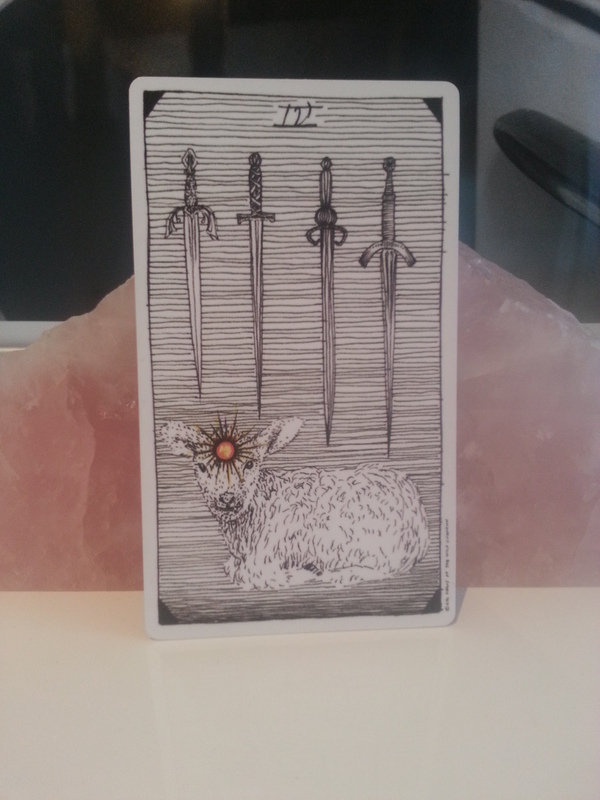 The four of swords says it’s time to look inward and find the mental power to cope with the pressures. It’s important to rest. Seek meditation or find literature that focuses on ways to quiet the mind. Take this time to recuperate and move inward before those swords strike. ← Yoga Sūtra Quote of the Day. Chapter 1. Verse 3.